$1.35 Million for Injured Motorcycle Passenger | Hupy and Abraham, S.C. In May 2017, Attorney Jason F. Abraham‘s client was a passenger on a motorcycle. The driver of her motorcycle began to operate the motorcycle at an excessive rate of speed approaching an intersection. At that time, an SUV approached and was making a left-hand turn in front of the motorcycle. A horrific crash occurred and both occupants of the motorcycle were ejected. Following the accident, engineering experts determined that the motorcycle was traveling at approximately 82 miles an hour in a 30-mile an hour zone at the time of the crash. As a result of this accident, the motorcycle operator was killed. Attorney Abraham’s client suffered catastrophic injuries and had her arm traumatically amputated. The operator of the motorcycle only carried a $100,000.00 policy limit. 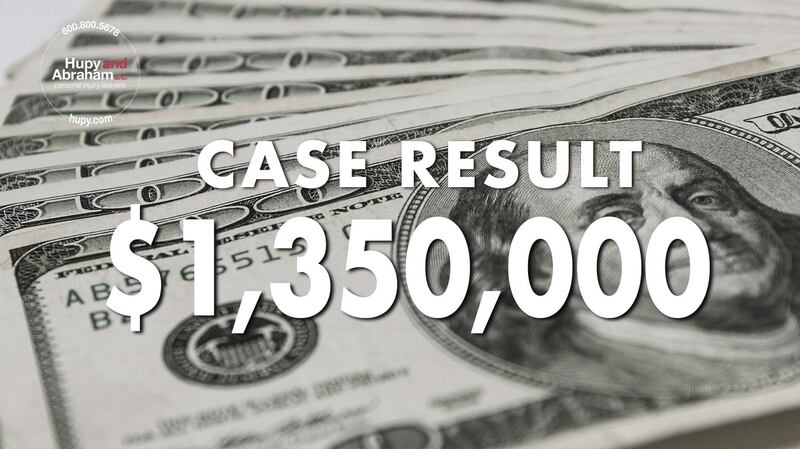 The operator of the SUV carried $1,250,000.00 of coverage. After hiring experts and being involved in intensive negotiations, Attorney Abraham was able to convince the SUV driver’s insurance company to pay their 1.25 million dollar limits. The insurance company for the motorcycle operator also paid their $100,000.00. This settlement will allow Attorney Abraham’s client to adapt to her disabilities following the accident and have a fresh start. She was extremely grateful of all the hard work done by Hupy and Abraham.